Our product range includes a wide range of pvc moulds. We are a trusted name in manufacturing, supplying, wholesaling, trading and exporting PVC Moulds. Our offered moulds are extensively used in the making of checkered tiles and interlocking pavers. 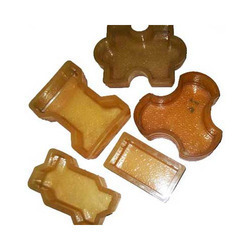 To cater to the diverse requirements of our esteemed customers, we offer these moulds in various shapes, sizes and deigns.